Here’s the eXp Real Estate model explained. 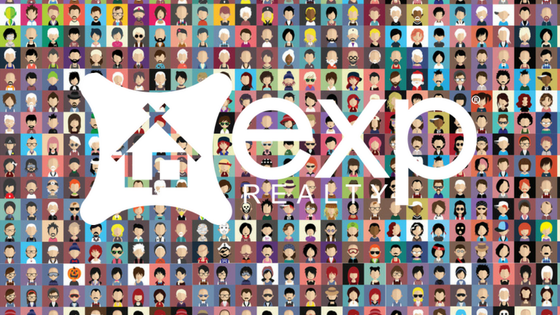 So many real estate companies claim to be at the top of the chain, but eXp Realty is the only one creating buzz among agents and brokers. eXp Realty is the nation’s first agent-owned, cloud-brokerage company that also offers flexible commission splits. The company was established in 2009 and it has grown to over 45 states in just nine years with thousands of agents and brokers finding success beyond their wildest dreams. eXp Realty is a full-service real estate brokerage that is replacing the traditional brick and mortar model of business with a cloud-based model. It has a fully immersive cloud-based office environment that offers its agents and brokers help and support on a 24×7 basis. eXp Realty was founded by Glenn Sanford who is the current CEO of the company. As a former agent for Keller Williams, he decided to revolutionize the real estate business by starting an online-only brokerage. His revenue sharing business model has transformed the face of real estate professionals around the country. What does agent own mean? In simple terms, agent-owned means that an agent working for eXp Realty can become a shareholder and partner in the company. There are many ways of getting ownership in the company from buying stocks to earning shares by attaining certain performance benchmarks. As a cloud-brokerage, eXp Realty does not have offices in different locations and the business is mainly conducted online. Consider Amazon, they don’t have any storefronts but sell a huge volume of products. 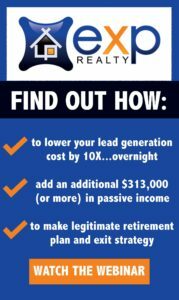 The difference with eXp Realty is that they aren’t selling products, they’re selling services provided by agents and brokers. Apart from company headquarters in Belington, Washington, every agent or broker of eXp Realty generally works from home. This results in tremendous savings for the company that is passed on to the agents in the form of very high 80/20 commission splits. Every state has one broker and the number of agents across the country grown exponentially. Current agents who refer new, joining agents receive a portion of their earnings for as long as they are with the company. Current agents can also receive revenue sharing from agents recruited for up to 7 levels. This means an agent can continue to earn money even if they’re no longer selling real estate. Endless opportunities for growth at eXp – contact us today!